Paula Marie Smith1, M.D., Bhagya Reddy2, M.D., Muhammad Waqar Azeem3, MD. Yale Child Study Center, Yale University School of Medicine, CT, USA. Individuals with intellectual disability have been shown to suffer from affective disorders at a higher rate than the general population. Effective treatment of mood disorders in those with intellectual disabilities has not been well documented in the literature, and particularly not with psychological modalities or in adolescents. Here we report the treatment course of a 14-year old girl with intellectual disability and depression. It has been widely acknowledged for decades that individuals with cognitive limitations of all severities can suffer from affective disorders 1 Moreover it has been shown that people who have intellectual disability have an increased risk for psychopathology2. However, the available literature addressing mood disorders in cognitively limited individuals is often outdated, as many of the relevant papers were published between ten and twenty years ago. Most of the existing literature is specific to cognitively limited adults, and focused on assessment and diagnosis rather than treatment3. Of the papers and studies that do address treatment, there is often an emphasis on successful psychopharmacologic treatment options. 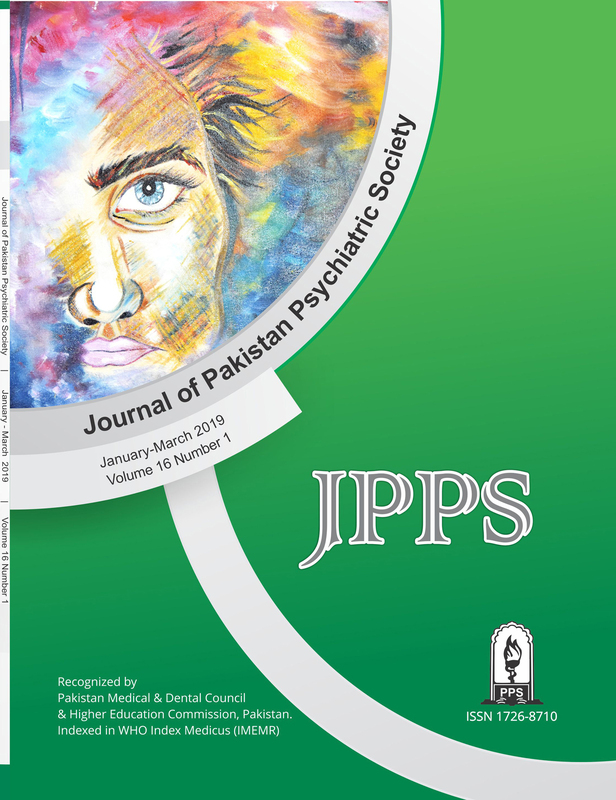 The purpose of this paper is, therefore, to present the successful unconventional treatment course of an adolescent with intellectual disability and comorbid mood disorder. G is a 14-year old adolescent girl, currently in special education in 9th grade. She resides with her mother and twin sister. She is a monozygotic twin who was born at 36 weeks gestational age to a nuclear family, though her parents have since divorced. G's mother's pregnancy was complicated by placental abruption at 9-10 weeks gestation and bed rest for 4 months during the pregnancy. In utero, G was exposed to a selective serotonin reuptake inhibitor, taken to treat her mother's depression, as well as daily cigarette smoking. G met her developmental milestones on time with the exception of speech and toilet training. Her speech was markedly delayed, as she was unable to make four word sentences until the age of four. She was seen at an early learning center for speech therapy and began receiving special education services while in preschool. Her trauma history includes sexual abuse at the age of 4 by the 10-year old brother of a peer in daycare nursery and witnessed domestic violence between her mother and father. Additionally, she reports verbal abuse from her father, who has called her "retarded" and other derogatory names in the past. G has limited friendships and reports being bullied by her peers as well as her twin sister, with whom she often has a contentious relationship. G recalled having a depressed mood since the time of her parent's separation in 2007. Her first psychiatric hospitalization occurred at the age of 7, at which time she endorsed auditory hallucinations telling her "you are fat", "stop eating", "you are worthless" and commanding her to cut herself. Her first suicide attempt occurred at the age of 10 when she took overdose of nonsteroidal anti-inflammatory drug. This was followed by more than ten acute psychiatric hospitalizations for depression, self-injurious behavior, and suicide attempts. G underwent neurocognitive testing with the Wechsler Intelligence Scale for Children-Integrated: Fourth Edition (WISC-IV) 2014. The result of her full scale IQ index was 65 and she met criteria for the diagnosis of intellectual disability. G was most recently transferred from an acute hospital to a state teaching psychiatric hospital for stabilization of depression – manifested by mood lability, temper tantrums, poor sleep, anxiety, negative self-statements, impulsivity, and suicidality. Her past treatment for similar symptoms included medication trials with sertraline, risperidone, and clonidine. At the time of transfer she was prescribed lamotrigine, aripiprazole, escitalopram, guanfacine, clonazepam, and melatonin. In the current psychiatric hospitalization, G’s medications were sequentially discontinued with the exceptions of lamotrigine and melatonin, maintained for mood stabilization and sleep regulation, respectively. Naltrexone was later added to attenuate any potential reinforcing effects of her self-injury. The main modality of her treatment, however, was psychotherapy, aimed at targeting her depressed mood, low self-esteem, and associated maladaptive behaviors. She tended to demonstrate poor attention, perseveration, and concrete thinking, so the goal of therapy was explained as an opportunity for her to talk about her “feelings and behaviors”. This phrase was repeated as often as necessary to help redirect her in sessions, which took place three times a week for 20-35 minutes depending on what she was able to tolerate. New information, such as coping skills and distress tolerance techniques, was relayed to her in short and simple sentences and she was often asked to restate concepts in her own words in order to ascertain her level of understanding. Many times she responded to such inquiries with information only peripherally relevant or simply said, “I don’t know. What did you say?” In such instances the information was provided again until she was able to demonstrate greater comprehension and memory. She was also presented with a behavioral sticker chart that listed five positive behaviors for which she could earn rewards daily and increase her autonomy within the facility. When she successfully performed any of the positive behaviors she was given significant praise and encouragement to keep up the good work. In contrast, her mood dysregulation and potentially harmful behaviors were met with planned ignoring when appropriate in order to discourage these actions. G’s parents also engaged in weekly family therapy during which they received ongoing support and psycho education. Over the course of several months, during which time the above treatment plan was adhered to consistently, G showed a progressive improvement in her mood symptoms and had an absence of self-harm behavior. She reported feeling better about herself and demonstrated more positive self-talk, even in the face of perceived negativity and negative comments from peers. In particular, she reported being excited and proud of herself for the success that she was accomplishing. Although she continued to believe certain things about herself, (e.g., that she was overweight), she had improved judgment about how to address these issues, (i.e., working out to lose weight instead of restricting her meals), and was more future-oriented overall. She was able to express her fears of returning to her previous mood and behavioral symptoms and to work towards troubleshooting this ahead of time with her psychotherapist. Individuals with intellectual disabilities and developmental delay have been found to have a higher-than-normal incidence of co-occurring mental illness, believed to be due to both biological and social factors. Although the literature reveals inconsistent prevalence rates due to challenges with diagnosis, affective disorders are among the most commonly seen psychopathologies in this population2. Here, depression may, at least in part, be related to poor self-esteem as a result of impaired adaptive functioning in multiple settings. Much of the relevant literature is focused on accurate diagnosis of mood disorders, particularly in individuals with very low IQ4. Significantly fewer studies have included recommendations or discussions about treatment options, although those that have tended to emphasize psychopharmacologic therapy3.4, and one study examined electroconvulsive therapy5. In the case presented above, diagnosis was relatively straightforward and made using the Diagnostic and Statistical Manual of Mental Disorders, Fourth Edition-TR6 plus the Assessment of Symptomatic Behaviors by Lowry3. Less apparent, however, was a plan for effective treatment of the patient’s chronically recurring symptoms. Psychopharmacologic treatment alone was unlikely to be successful given that G had had several medication trials with agents from multiple classes without lasting improvement. Moreover, G’s regimen at the time of admission to the current hospital was quite complicated and confusing, so decreasing, not increasing, her medication load seemed warranted. One study from the 1990s found cognitive therapy to be helpful in treating depression for two individuals with intellectual disabilities7. Although G did indeed have a significant number of cognitive distortions that were thought to be negatively affecting her mood, she did not demonstrate the attention span or abstract thought required to participate in a manualized treatment. Therefore, the psychotherapeutic approach taken in her case was more supportive in nature, with the addition of very concrete techniques to supplement her limited memory and tendency toward perseveration. Over time, G responded favorably to this approach. The patience and non-judgmental positive regard shown to her, even in the face of severe mood dysregulation, helped to foster trust and build rapport with her therapist. The sticker chart, by listing agreed-upon positive behaviors, allowed her to visualize and take greater responsibility for her behaviors and the consequences related to them. This gave her a sense of autonomy and empowerment. Through the overemphasis of praise and encouragement for her successes, no matter how small or seemingly inconsequential they were, she was able to develop a greater sense of competence, confidence, and self-motivation to strive for additional successes. Despite the positive outcome of this case, it is not assumed that G’s treatment can be generalized. For instance, two potential limitations of this report are associated with the setting of care. In the current inpatient setting there was the advantage of longer time available to treat G, which is unlikely to be afforded to the treatment team of an acute hospital with shorter lengths of stay. Additionally, acute inpatient or outpatient practitioners may not find it practical to discontinue such a long list of medications in a chronically ill individual who presents with an exacerbation of symptomatology. However, for these very reasons, more work demonstrating the effects of innovative psychotherapeutic techniques in this patient population is needed. Adolescents with intellectual disability represent a unique group when it comes to the treatment of comorbid mood disorders. While some studies have shown anti-depressants and mood stabilizers to be effective, more work is needed to examine the effects of psychotherapeutic treatment, particularly when psychopharmacologic treatment alone has not been sufficient for symptom remission. Potential barriers to psychotherapeutic treatment of mood disorders in this patient population include superficial engagement due to limited verbal or conceptual skills, concrete thought processes, and frequent behavioral dysregulation. Therefore, methods for treating mood disorders in adolescents with cognitive limitations may need to be an unconventional patchwork of modalities and may require the clinician to think out of the box, per se. 1. Sovner R, Hurley AD. Do the mentally retarded suffer from affective illness? Arch. Gen. Psychiatry 1983; 40: 61-67. 6. American Psychiatric Association: Diagnostic and Statistical Manual of Mental Disorders, Fourth Edition, Text Revision. Washington, DC, American Psychiatric Association, 2000. 7. Lindsay WR, Howells L, Pitcaithly D. Cognitive therapy for depression with individuals with intellectual disabilities. Br J Med Psychol. 1993 Jun; 66 ( Pt 2):135-41.